Using Absher, Saudi men can restrict the travel of Saudi women. The app facilitates Saudi Arabia's patriarchal guardianship system, according to human rights advocates. 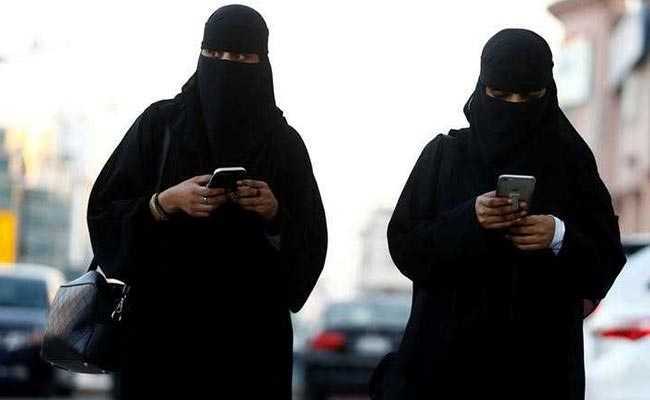 Sen. Ron Wyden, D-Ore., is asking the chief executives of Apple and Google to immediately stop offering a Saudi e-government app that allows men in Saudi Arabia to track and control the movement of women. In a letter sent to the tech giants Monday, Wyden urged them to prevent their app stores from being used by the Saudi government to continue the "abhorrent surveillance and control of women." Absher, an app people that can download on the Google Play store and Apple's app store, works as an e-government portal and general services software for the Saudi Interior Ministry. It allows Saudi citizens to process a host of personal status issues such as getting a passport, a birth certificate or vehicle registration. It remains illegal for women in Saudi Arabia to travel without permission from a so-called male guardian. Under this system of laws and practices, women in the kingdom need the approval of a "guardian," typically a male relative, for a range of decisions and actions, including marriage, employment with private companies, certain types of health care and release from prison, said Adam Coogle, a Middle East researcher at Human Rights Watch. Using Absher, Saudi men can restrict the travel of Saudi women by first allowing or disallowing them to leave the country, and the men can also limit the dates and places women are permitted to travel. "We call on Apple and Google to assess the risk of human rights abuses on women, which is facilitated by the App, and mitigate the harm that the App has on women," Amnesty International said in a statement to The Washington Post on Tuesday. "The use of the Absher app to curtail the movement of women once again highlights the disturbing system of discrimination against women under the guardianship system and the need for genuine human rights reforms in the country, rather than just social and economic reforms." On both Apple and Google's app stores, the app preview states: "Absher has been designed and developed with special consideration to security and privacy of user's data and communication. So, you can safely browse your profile or your family members, or labors [sic] working for you, and perform a wide range of eServices online." Criticism of the app follows the high-profile case of Rahaf Muhammad, a Saudi teenager who fled from the kingdom and was granted asylum in Canada. Her escape and criticism of the Saudi government have drawn heightened attention to the country's male guardianship laws. The calls for change come amid an enduring scandal over the killing of journalist Jamal Khashoggi in the Saudi Consulate in Istanbul in October.